TITLE: Joe’s Deli | Game Room… and Kids Eat for Free on Tuesdays! The other day a friend texted, asking where to play pool in Buffalo. I gave her a couple of suggestions, but one that I left out was Joe’s Deli. 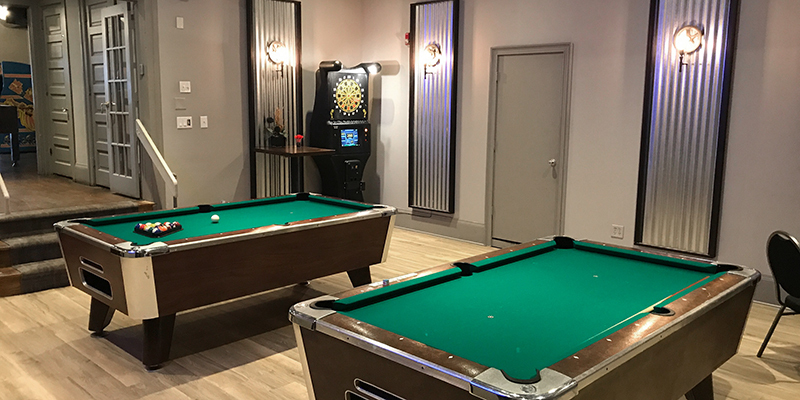 It hadn’t crossed my mind because I was not aware that pool was part of their relatively new game room that they have set up at their Elmwood location (in the back). To this day, Joe’s deli is still one of my favorite places to go for lunch. With the addition of the game room, I’m going to have to carve out some time in the evening too!